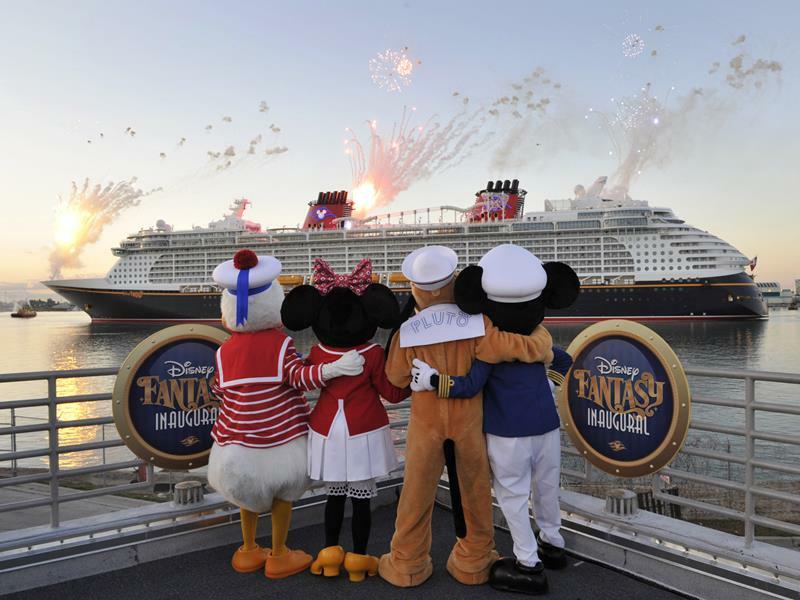 Disney Cruise Lines has a reputation for offering some of the most enjoyable trips for families of all shapes and sizes. That is, of course, to be expected; they’re Disney after all. 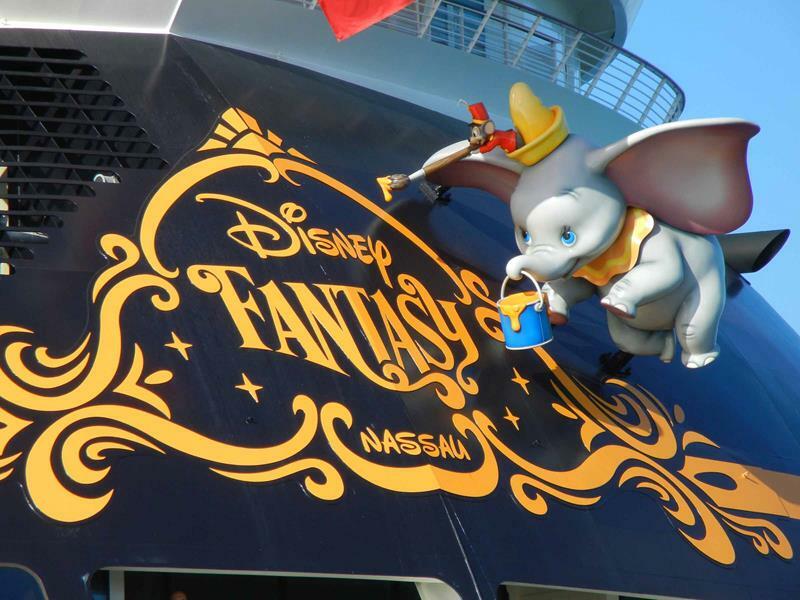 In 2012, they added the latest ship to their cruise line, the Fantasy, and it’s without a doubt one of their best. 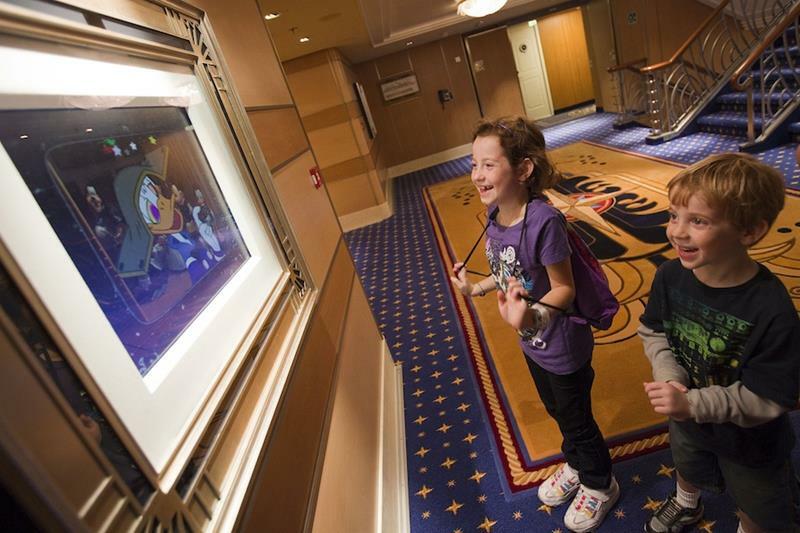 Ever since it made its maiden voyage, families have been taking in all that the ship has to offer, all while creating memories that will last a lifetime. Naturally, there’s plenty onboard that kids will enjoy. There’s a slew of water games on deck, a Mickey-Mouse-shaped pool, and even a place for mini golfing. And, that doesn’t even include the mystery on board that your kids can solve if they’re good enough detectives. But, it’s not all about the kids, as Disney hasn’t forgotten about the parents! Have you ever wanted to unwind in 60s British mod style? 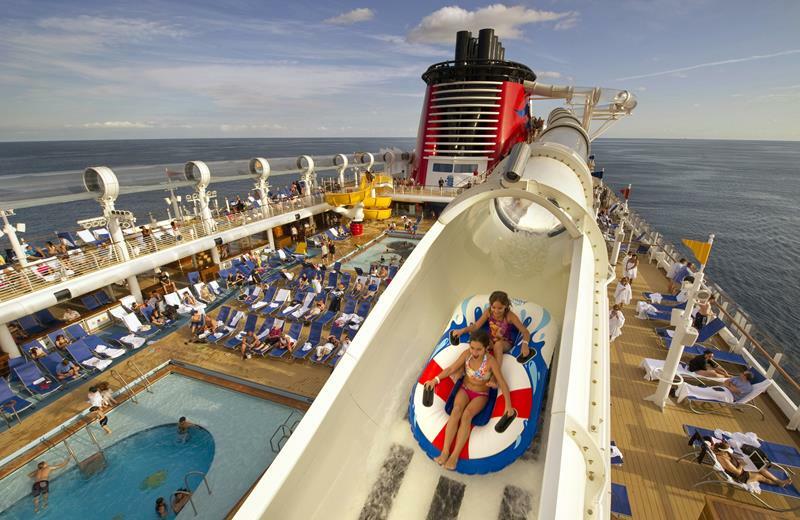 What would you say if you learned that the ship has its own private pool for adults? 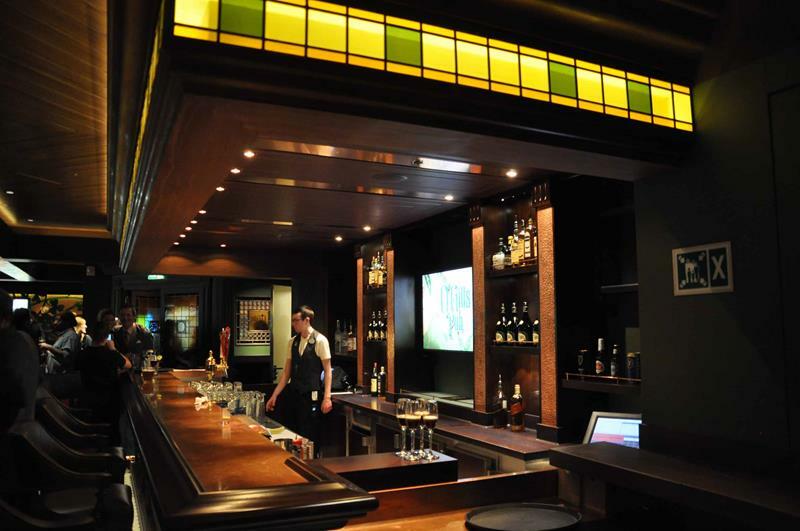 There’s even an Irish Pub, if you like to keep things simple that way. 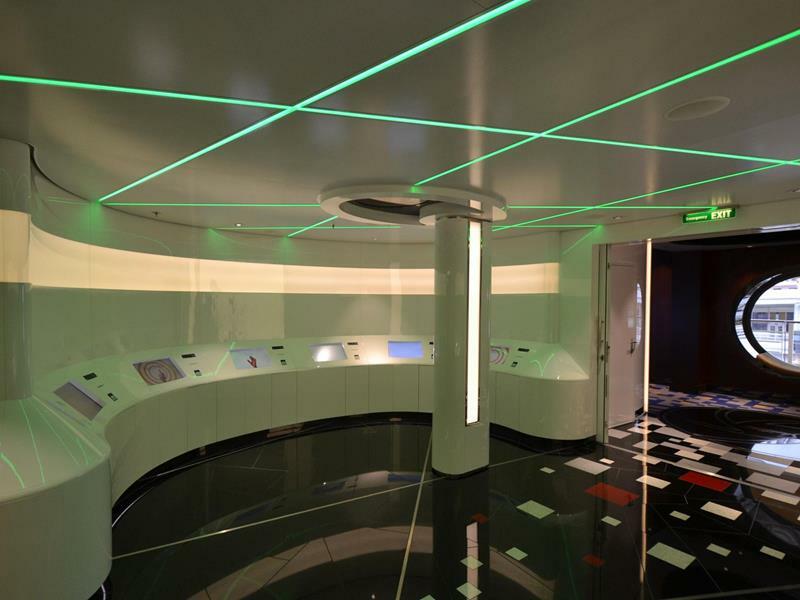 So come along, and take a pictorial trip through Disney’s newest ship, the Fantasy. 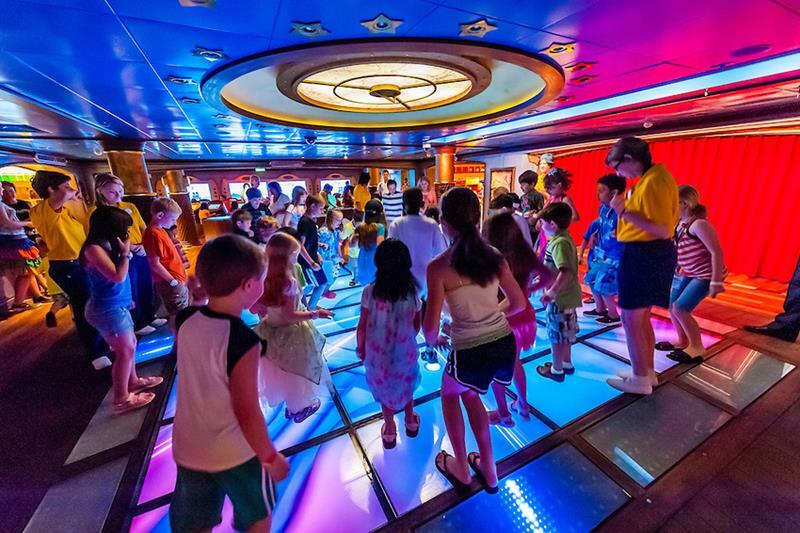 It’s full of fun and exciting things, and it may be just the cruise ship you and your family have been looking for when Spring breaks come rolling around again this year! 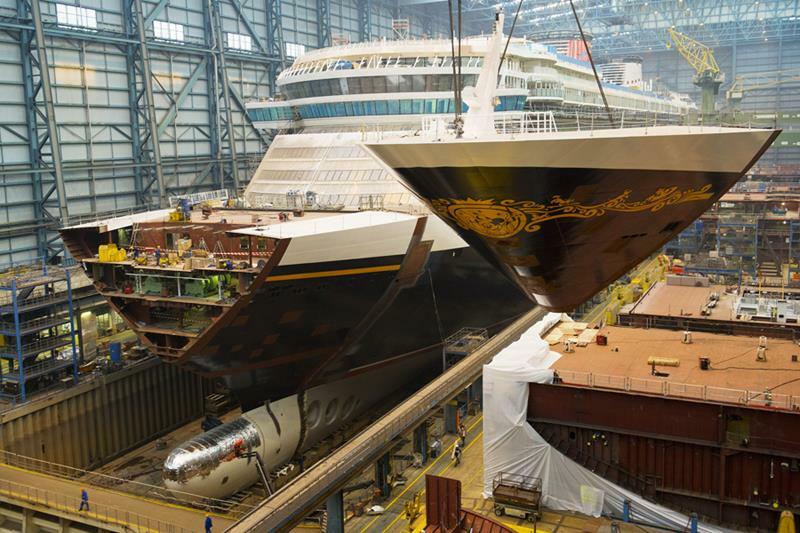 Construction of the Fantasy began in 2011 and was conducted by Meyer Werft in Germany. 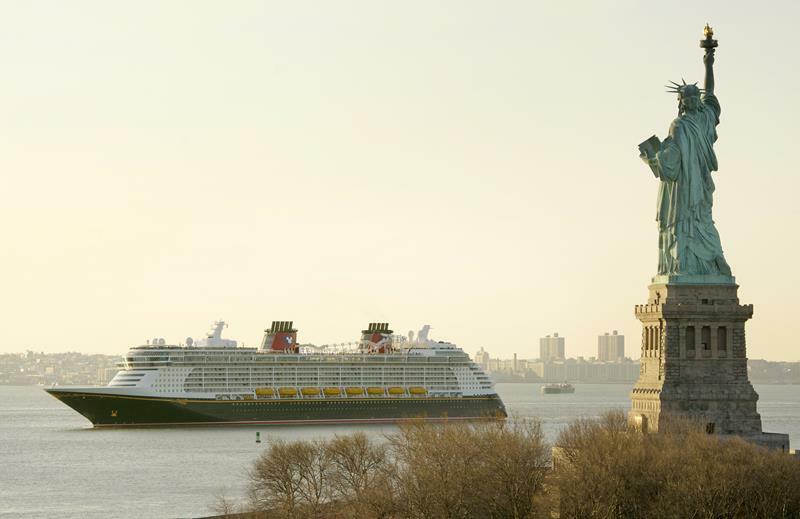 After construction was completed, the Fantasy made its first voyage, arriving in New York City on February 28, 2012. Like all Disney ships, the Fantasy has a stern character. It’s one is Dumbo the Flying Elephant. 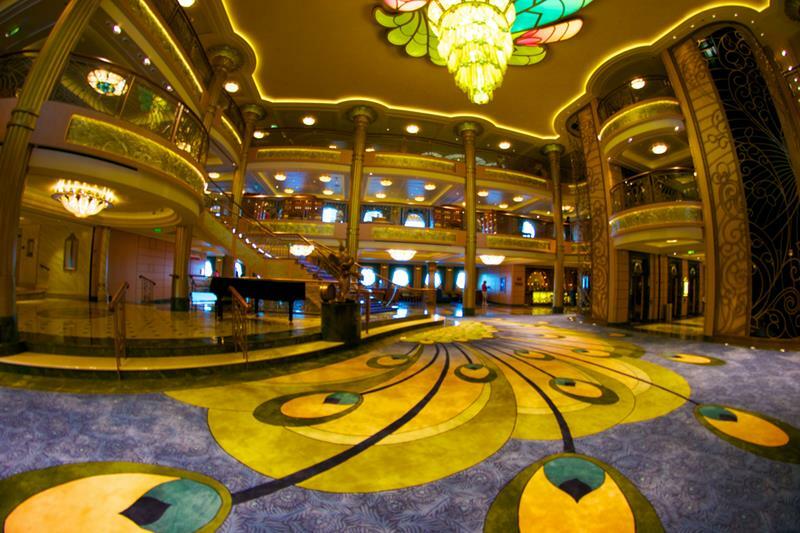 Inside of the ship, the atrium is a focal point. It was designed and built in the Art Nouveau style. 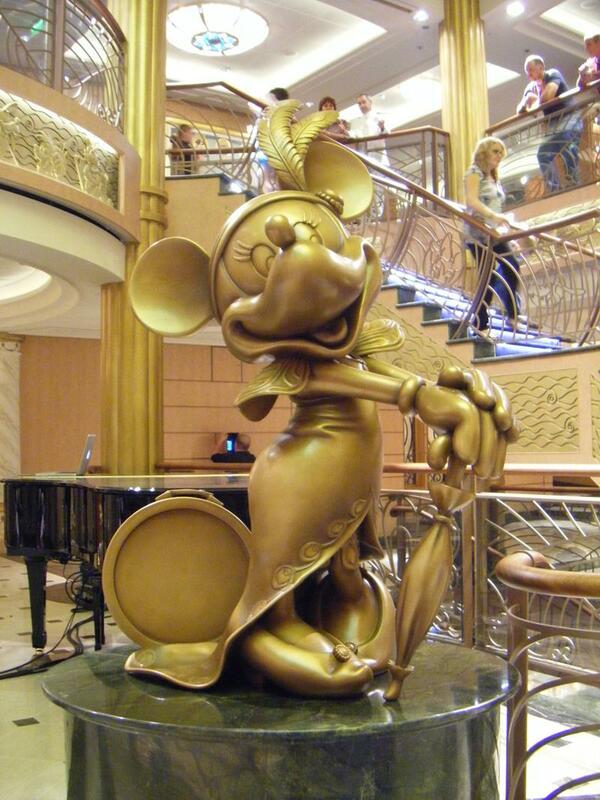 While you’re there, be sure to check out the bronze statue of Minnie Mouse. She’s dressed up like a 1920s flapper girl! 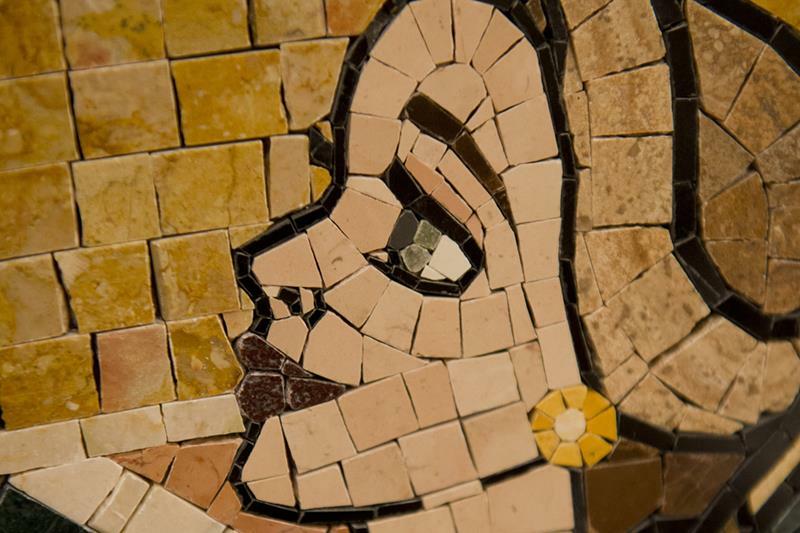 The bronze Minnie Mouse isn’t the only artistic touch in the atrium. 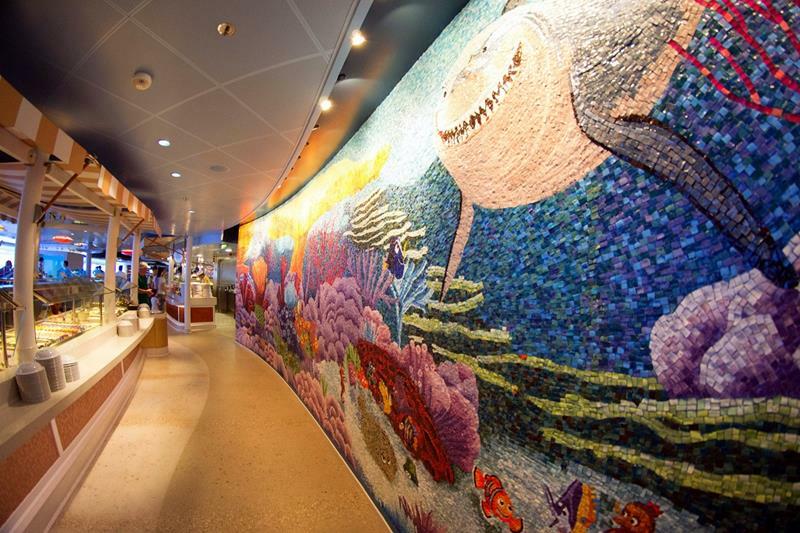 There are also many interesting mosaics that will delight Disney fans young and old. 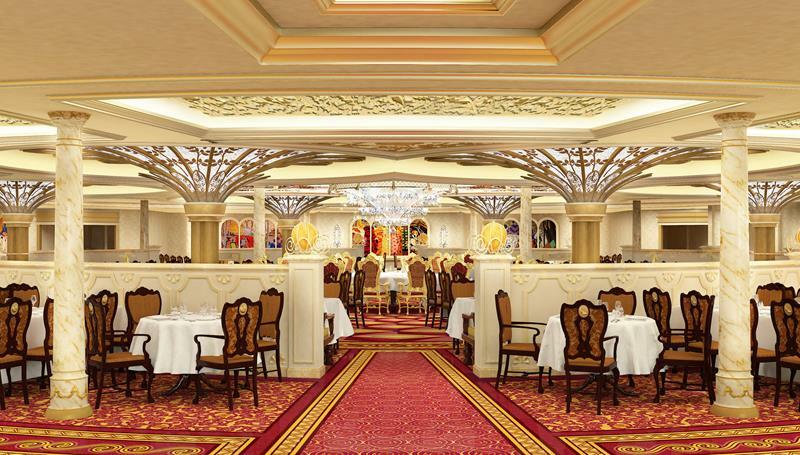 One of many dining options onboard the Fantasy, the Royal Court offers many intricate artistic touches in addition to its delicious fare. 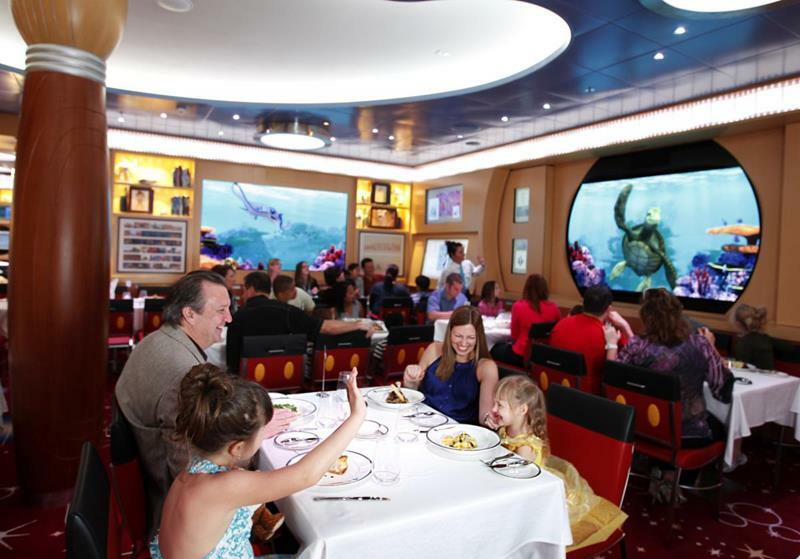 Another one of the main dining areas aboard the Fantasy is called the Animator’s Palate. Check out the Mickey-Mouse-themed chairs! 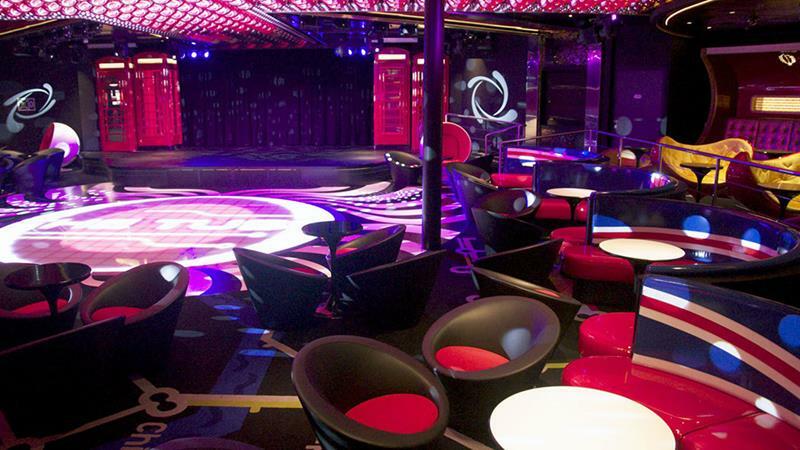 You know the kids are going to love a Disney cruise, but adults need entertainment too. 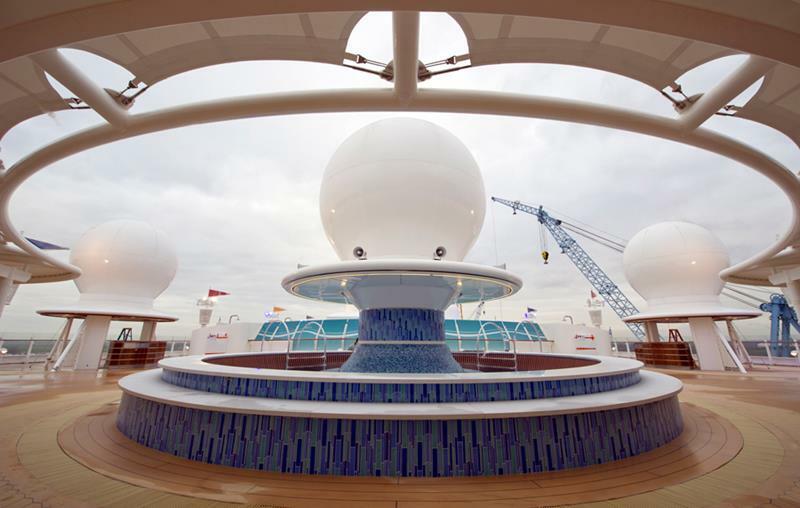 The Fantasy’s Europa serves just that purpose. 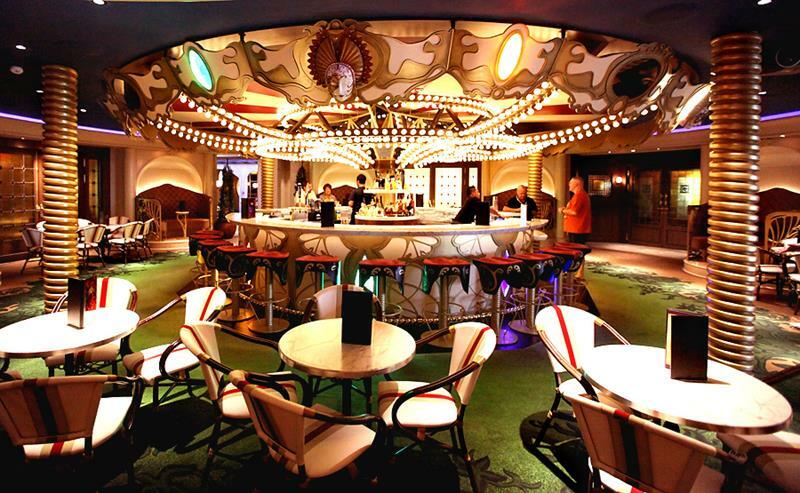 There are multiple themed bars and clubs in Europa for adults, including O’Gill’s, which is an Irish pub. Then perhaps you might like to check out The Tube, which is decked out in a style that would make Austin Powers feel right at home. 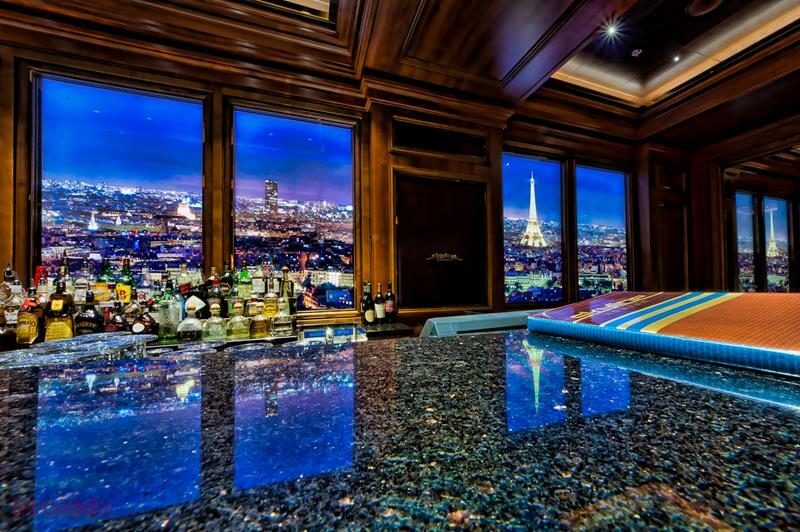 Then check out Skyline, which boast a lounge atmosphere and has digital windows that look out on a different city every night. However, if you’re really looking for some time away from the kids, then you’ll want to head to the Cove Café. 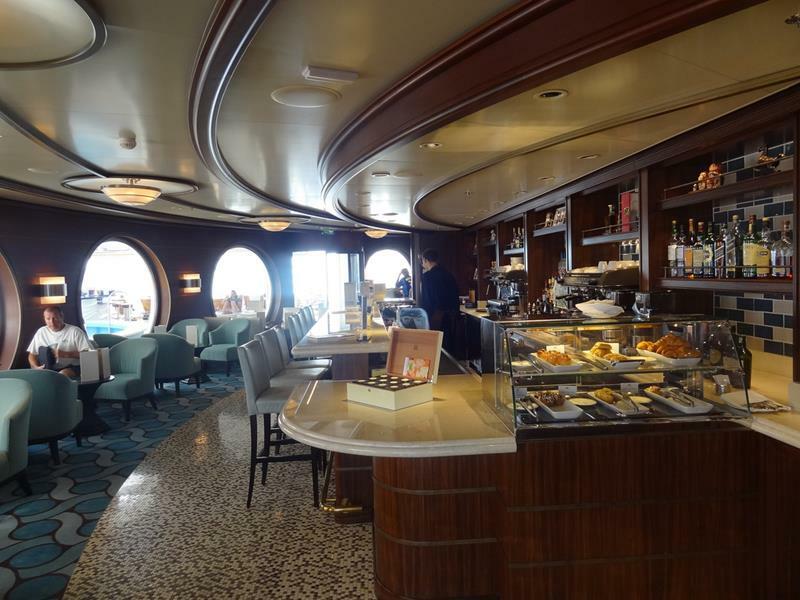 In addition to the indoor lounge, there is also a secluded pool area in the Cove Café that’s strictly for of-age passengers. Satellite Falls is another place that adults can go to unwind. It features these unique water fountains that rain refreshing, cool water. Okay, okay. Enough about you. 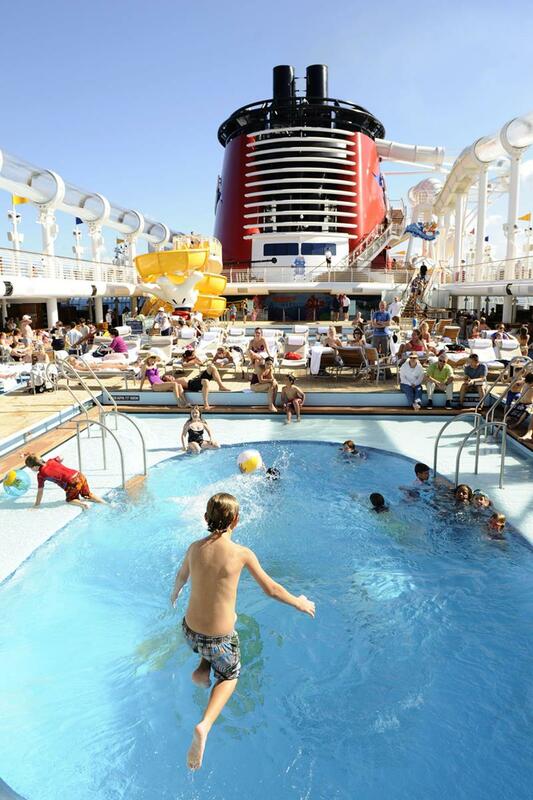 When you’re looking to have fun with the little ones, the pool up on deck is where you should go. 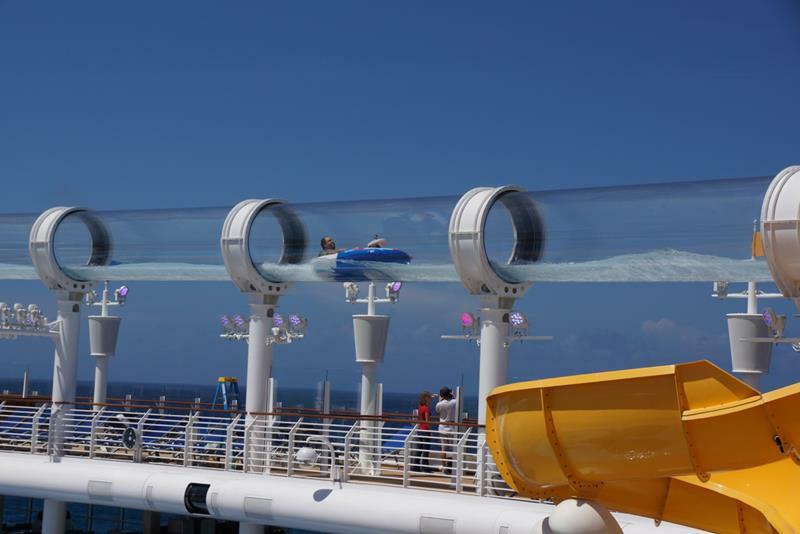 In addition to the pools on deck, you’ll also find water slides for even more fun and excitement! The water slide is known as the AquaDuck, and it should be noted that its clear tubes aren’t for those who are faint of heart, especially children who are easily scared. 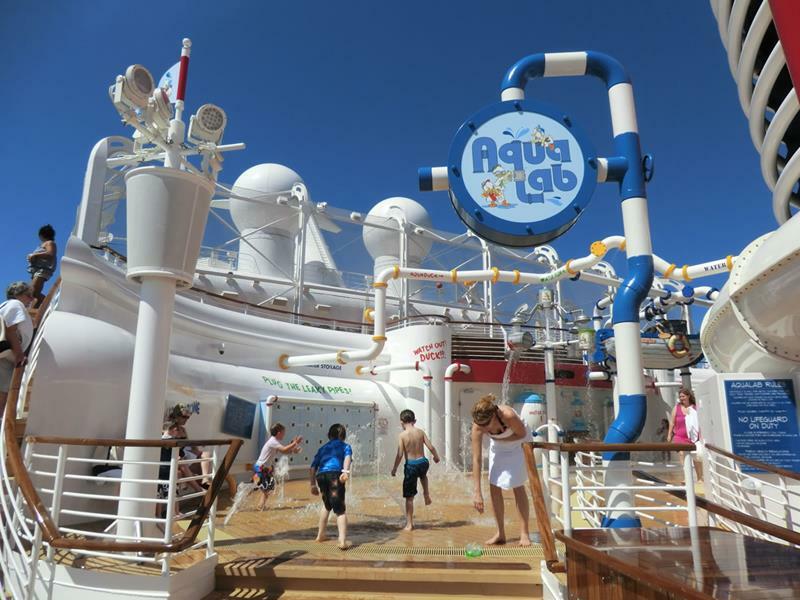 Kids for whom the AquaDuck might be too much will find plenty of water games to enjoy at the AquaLab nearby. 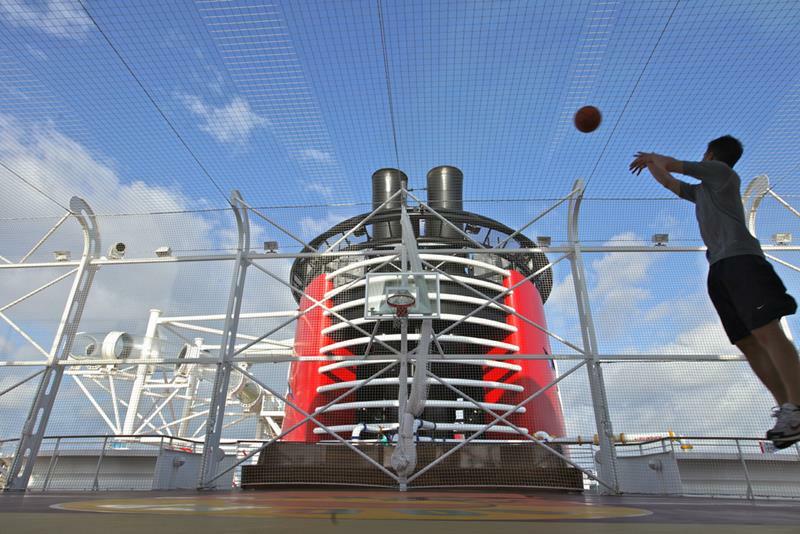 There’s also an area for playing sports on deck that includes a basketball court. It’s called Goofy Sports. Before you head over to the Cabanas Buffet, which is located right near all of the pools on deck. 22. Did That Picture Just Move? 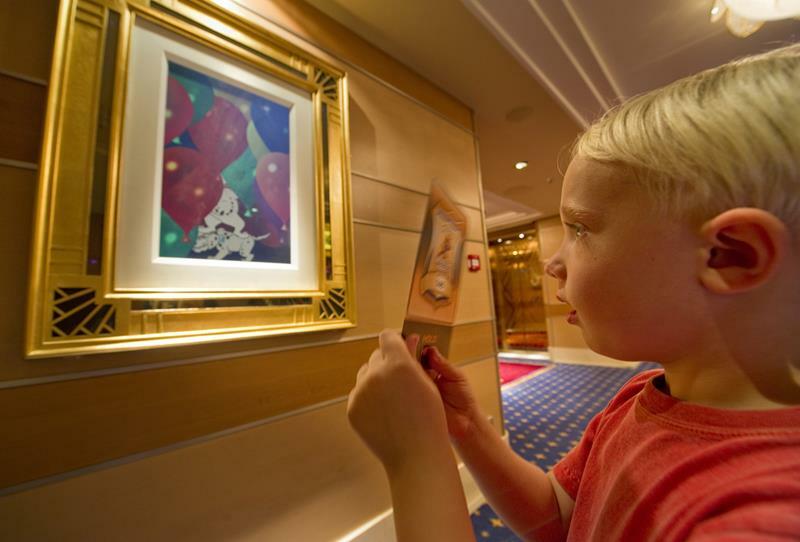 Throughout the interior of The Fantasy, there are pieces of artwork that will come to life right before your very eyes. And, if you have a special card, you can try to decode hidden messages in these special works of art and try to solve the mystery! 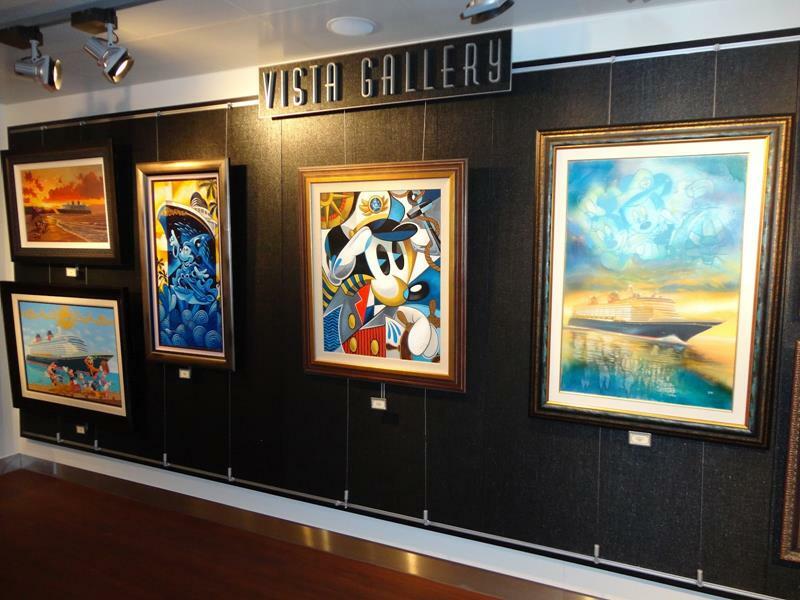 For art of the un-enchanted variety, be sure to check out the Vista Gallery. They have pieces for sale that you can take with you when you disembark. 25. Go Out for a Show! 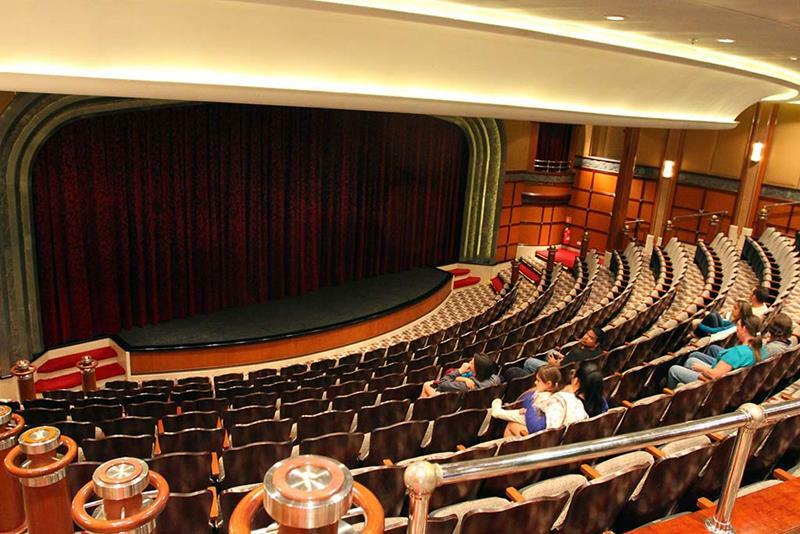 If you need a break from the all of the excitement, and you just want to sit back and take it all in, then be sure to head to the Walt Disney Theater. 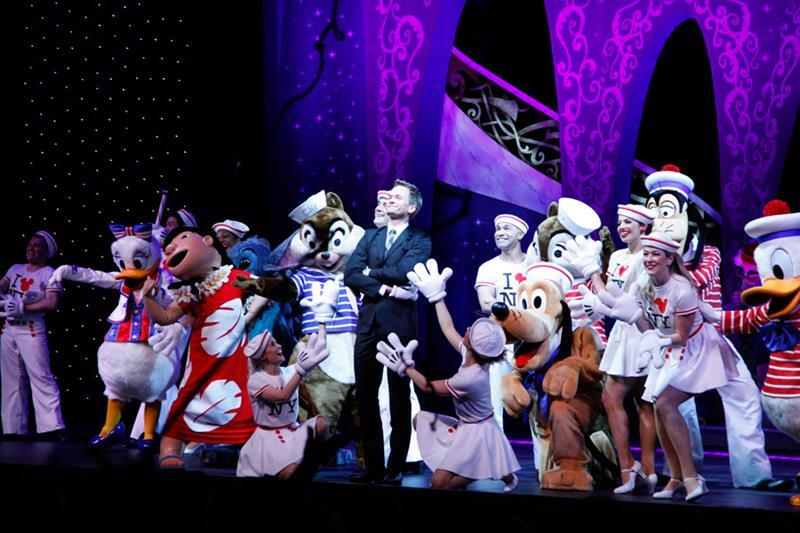 The shows that they put on in the Walt Disney Theater are always first rate, just like you’d expect from Disney itself. 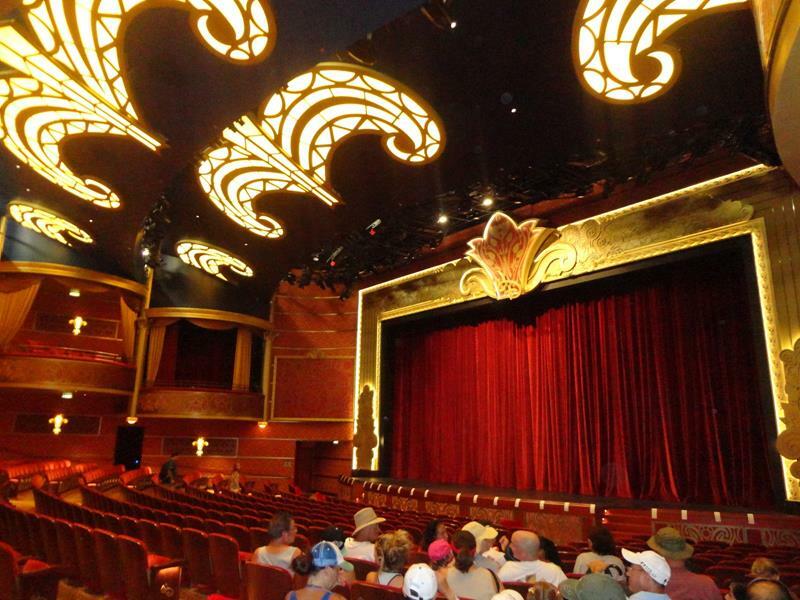 Then you should pop into the Buena Vista Theater, which shows all manner of Disney movies all day long. 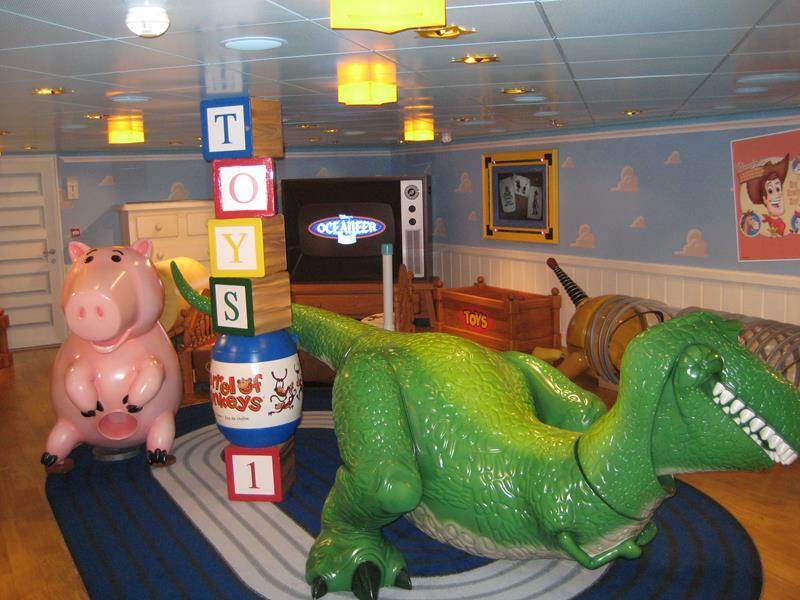 If you need to drop the 3- to 7-year-old kids off for a little bit, then you can take them to the Oceaneer Club, featuring a Toy-Story-themed room that’s sure to delight. For the slightly older set (and the young ones, too), there’s an interactive floor game that’s as much of a work out as it is entertaining. 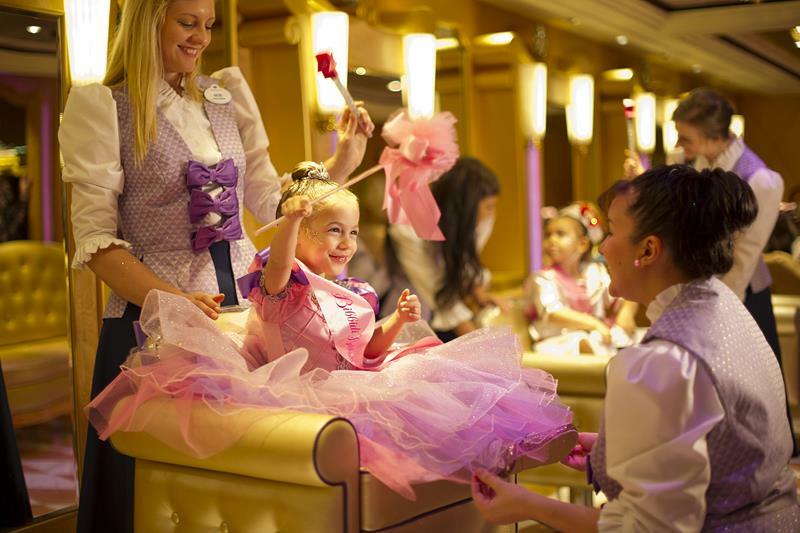 If you really want to make your little girl’s cruise, then take her to the Bibbidi Bobbidi Boutique, where a stylist will transform her into the Disney princess of her choice. After your little one’s been made over, you can be sure that she’ll want to show everyone her new look. 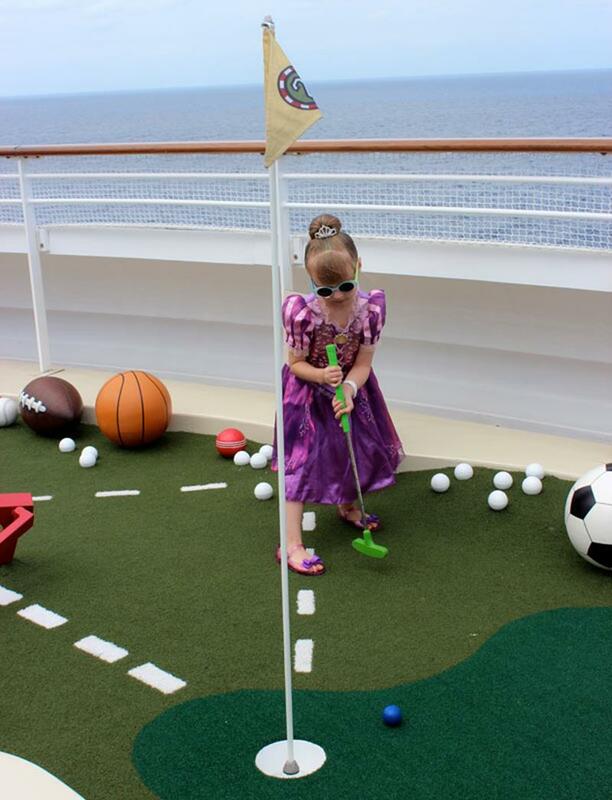 Maybe over a round of mini golf up on deck? Whatever it is that you end up doing on the Fantasy, be sure to stop by Shutter Digital to get photos of you and your loved ones that have been taken by the ship’s onboard photographers. 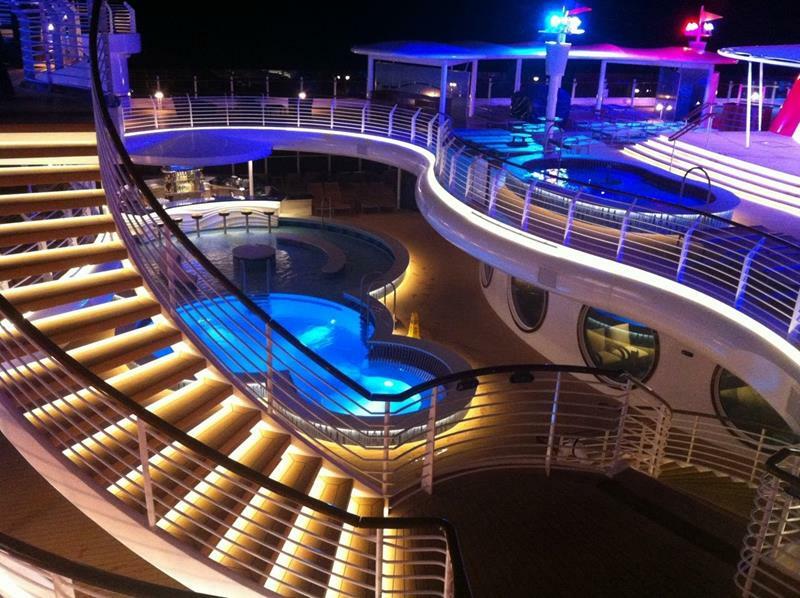 The Fantasy is on the high seas this very instant. 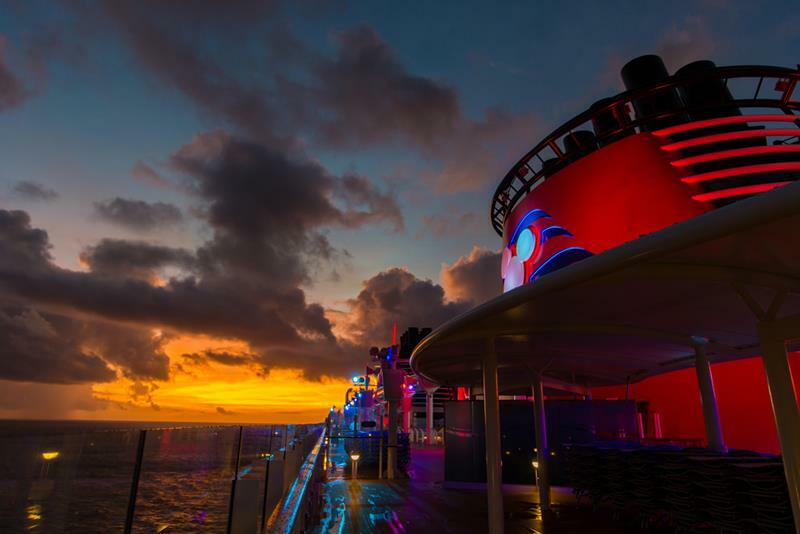 Check it out, book passage, and have a cruising vacation that you and your loved ones won’t soon forget.